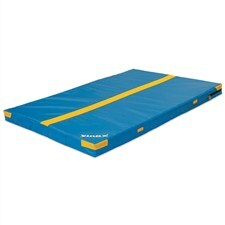 Gym Mats / Exercise Mats / Crash Mats are used for training new skills, safety in gymnastics and from the workouts that are to be done on the floor. 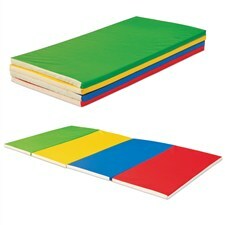 These exercise mats come with different shapes, sizes, weights and colors as per the need and use. 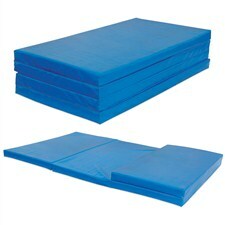 The aim behind the use of these mats is to make safe and comfortable environment at the time of training or exercise. There are various types of exercise mats available in the market including Gym Mats, Exercise Mats, Fitness Mats, Crash Mats, Yoga Mats, Yoga Blocks, Landing Mats, Incline Mats and much more. 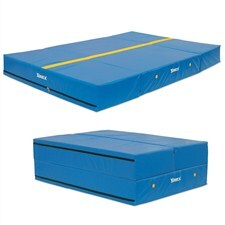 These mats are helpful in maintaining balance at the time of doing different workouts. The surface of the mat is very important for a safe and comfortable play. It should be non-sticky and cushioning. It protects sensitive parts of our body such as knees, hips, elbows and tailbone from the injury during flooring workouts at gym as well as at home. The best thing of these exercise mats is that these mats absorbs the extra sweat of the practitioner during the workouts and keep the surface clean, dry or non-slippery. 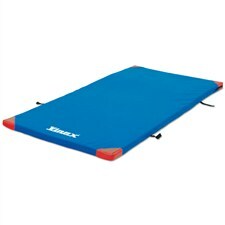 Why Vinex Gym Mats / Exercise Mats, Crash Mats? To make the landing exercises safe, secure and convenient, we at VINEX offers a wide range of Gym Mats / Exercise Mats / Crash Mats that are made of premium quality fabric filled with top quality of foam. 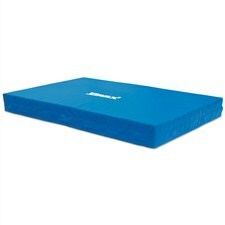 These mats come in different shapes, sizes, weights and colors. Vinex mats are designed to provide you cushioning for exercises, and to keep the practitioner from slipping and sustaining injury. These mats are easy to use, foldable, portable, long lasting, smoother landing, great stability, shock absorption and are easy to clean. The part of the mat is built with strong mesh fabric which allows the air to pass through it when athletes land on the mat. 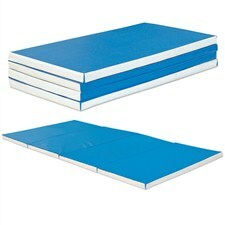 These multipurpose exercise mats have handles on side for easy carrying and zips for the easy insertion of foam. So, make your landing exercises safe and secure with the use of Vinex Mats. VINEXSHOP is one of the oldest and reliable online shopping destination to buy Gym Mats / Exercise Mats / Crash Mats online at highly discounted prices in India. VINEXSHOP is an exclusive online fitness equipment shop established by Vinex Enterprises Pvt. Ltd. to provide the customers with the best quality sports equipment and services.